The deadlift is a fantastic full body exercise that IF done correctly can ward of low back pain and postural concerns. Poorly executed however can lead to lower back strain, neck pain, and an overall feeling of discomfort with potential risk to spine health.Here are the top 3 mistakes we have seen and how you can avoid and correct them to improve your deadlift form and getting maximal benefit from the exercise. 1. Rounding of the lower back during set up and pull. A very common issue we see is laxity and excessive rounding of the lower back while picking the bar up from the ground. This places undue stress on the lumbar spine with potential for muscle strain or disc injury. Core engagement and deep bracing! Try the plank. This exercise increases abdominal strength/endurance quality as well as teaches you to keep neutral spinal alignment while under load. 2. Jerking the weight from the floor causing your hips to rise before your head. This unwanted firing sequence will sabotage your strength potential and wreak havoc on your joints/muscles overtime. Generally this is a sign of a weakness through the posterior chain (Glutes mainly). 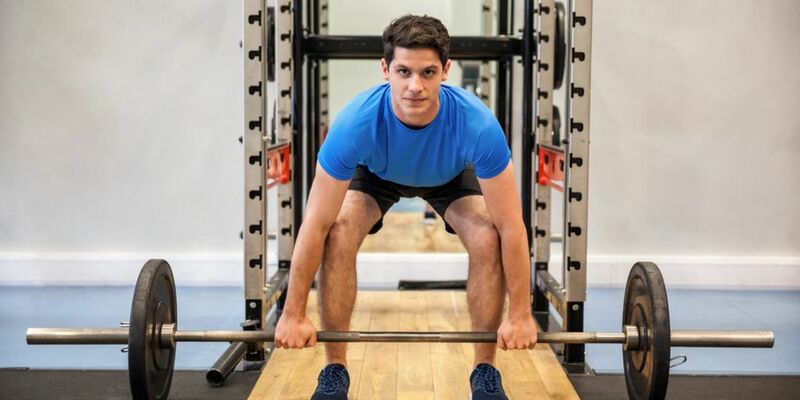 Try a slightly more controlled version of the deadlift, the Romanian deadlift. This exercise is taken through a lesser range of motion and is easier to place the emphasis on the glutes/hamstrings. Master this movement first and your conventional deadlift will improve in no time! 3.The bar drifts away from your body during the lift. This type of technique quickly turns the deadlift into the lower back exercise from hell! The further the bar is in front of you during the lift, the more muscle strain and energy is leaked in order to complete the movement. This common mistake tends to be due to lack of back muscle engagement (namely the lats). When you grip the bar it is very important to keep it up against your shins while with nice straight arms you turn your elbows in towards you and really thing about squeezing your armpits to your sides. This will keep those muscles engaged through the lift; the bar will remain close to your body at all times, and your lower back WILL thank you! Come in for a treatment today; call 0473 090 442 for our Toowong clinic. We specialise in pain relief and movement/postural education.